Uses: Post exercise recovery fuel. Protein meal replacement. MuscleCare is a nutritional food supplement rich in vitamins, minerals and amino acids formulated to supply specialized support to the muscular and metabolic system. Providing a comprehensive, additive-free and nutrient dense post-exercise recovery fuel, or an on the go meal replacement. 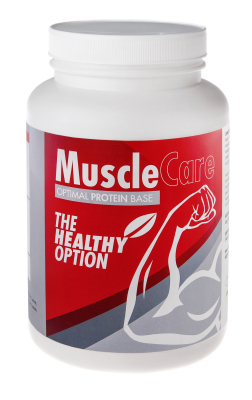 Musclecare is a food based nutrient rich formula which fuels the metabolic system and supplies the amino acid building blocks which act on repair and regeneration of the muscles. 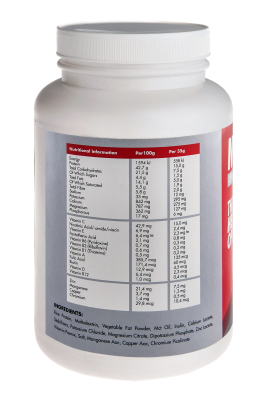 This product contains specific amino acids, these protein building blocks are essential to the building and recovery of the muscle. Rice protein concentrate is an easy to absorb low allergenic food.